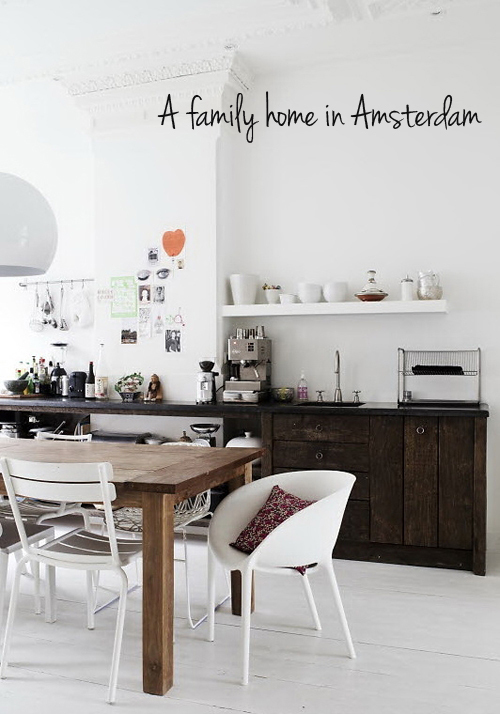 This family home in Amsterdam, The Netherlands, has beautiful high ceilings and lots of traditional features. The rooms are light and spacious and all have white wooden floors. 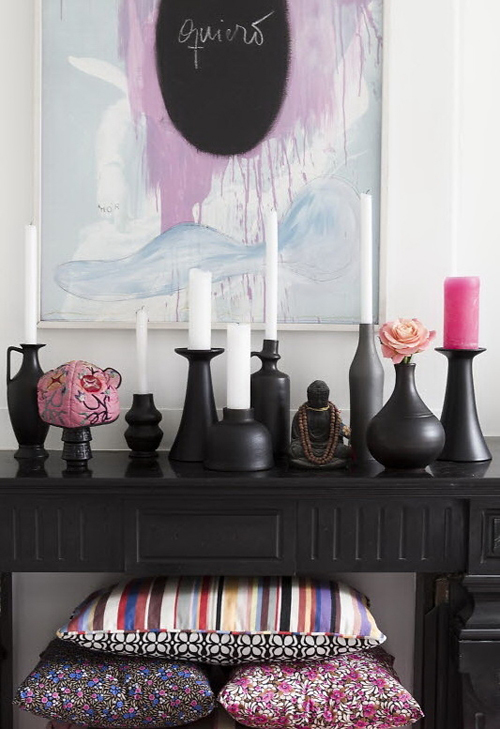 The walls and floors are white but colorful accessories give color to the various rooms. Thanks for the great images! This house looks so bright and comfortable. 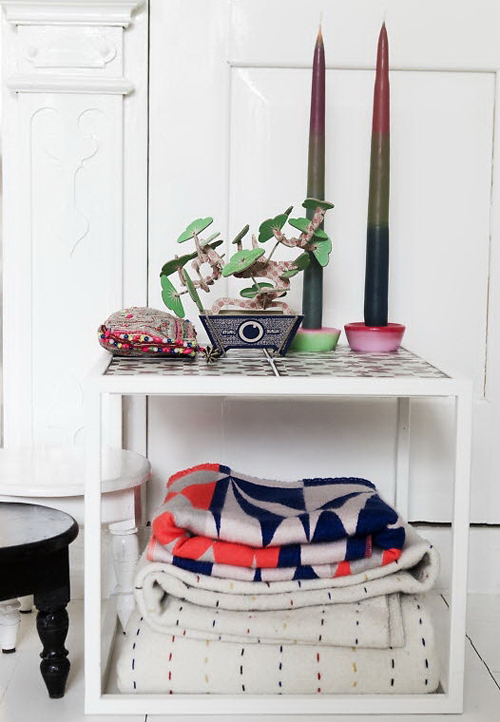 I especially love that last image – those blankets look so cozy. This is the consummate European home…simple, clean, and rife with character. i adore the simplicity and brightness of this home. Clean, fresh and ready to take in a real family. Just painting everything white is not only easy and boring but an insult to this lovely house aswell. The floor was once decorated with inlayed oak wood. The ceilings were colourfull hand painted. Now, all original details are gone or covered with white paint. It feels like à hospital to me. This house is à spectacular exemple of wrong decisions. Brrr. 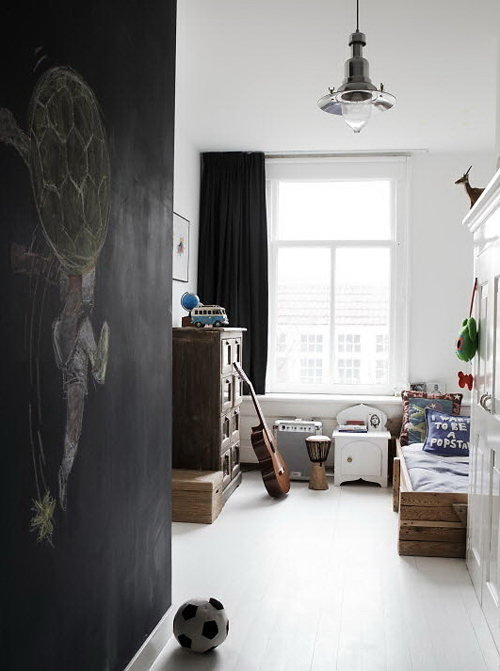 love that blackboard wall in the kids room! I too worry about having having all white, especially with small children around… I would not wish to spend my whole day cleaning. 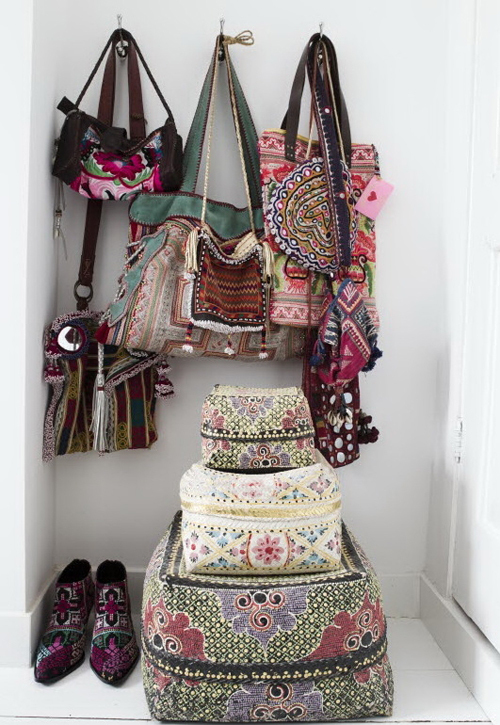 But that ethnic textile collection is to die for! Those are my dream ceilings!